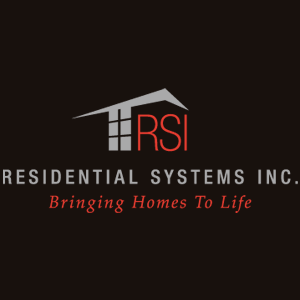 Chester Springs, PA – (November 28, 2018) – In today’s highly competitive home technology industry, business success is often measured by growth. Azione Unlimited, the only buying group where vendors and members are equal partners, seeks to encourage growth while rewarding its members in tangible, memorable ways. 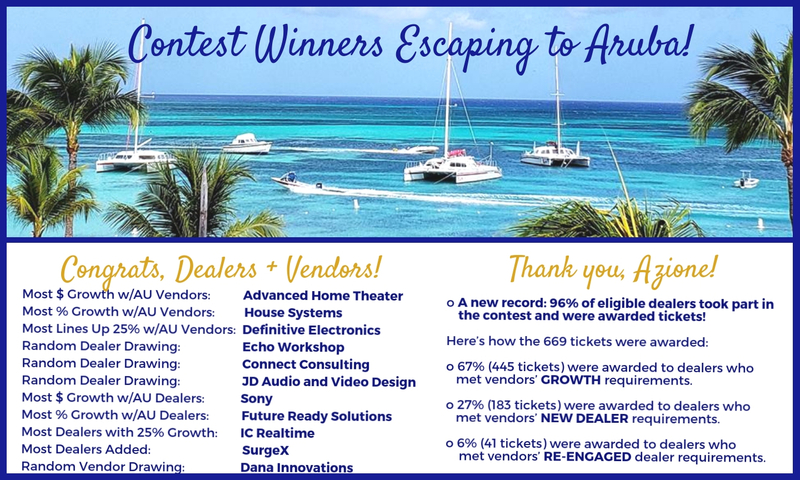 Most recently, the group revealed the winners of its 2018 Brand Adoption and Growth Contest, “Escape to Aruba.” The 2018 competition was an enhancement of the group’s 2017 Motivational Contest, a first of its kind in the industry. In 2017, Azione sent 24 winners and their guests to Turks and Caicos. Deemed a “Motivational Contest,” the competition promoted growth – of revenue, percent of sales, and product lines. This year’s event focused on even more metrics that matter and fostered a sense of partnership between dealers and vendors, something that is crucial in this era of shrinking margins and commoditized technology. With highly targeted goals and a contest structure that rewarded business growth, adoption of new lines, and renewed relationships with former vendors, the 2018 Adoption and Growth Contest inspired members to reach outside their comfort zones. At the same time, it offered the support of the group and opportunities for learning and mentorship, which studies show is a critical element to success when people try new things. Winners “adopted” more than just new lines or new dealers during the contest. In their pursuit of the highest growth by dollars and by percentage, as well as more tickets – which gave participants entries into the random drawing portion of the contest – members adopted a growth mindset. Brainstorming new business strategies and tactics, dealers and vendors looked for even more creative ways to approach their businesses in 2019. 225kVA in mitigating the often-overtaxed infrastructure of the electrical grid.” Says Jimmy Paschke, Sales Manager for SurgeX Residential. These dealers all received tickets, which were then used as chances to win the random drawing. In addition, three Azione dealers and three Azione vendors won in categories that exemplified business growth in different ways, notably, percentage growth, dollar-value growth, and line growth. Azione President Richard Glikes announced the winners of the 2018 contest during a Facebook Live session and the group then traveled to Aruba where 24 winners spent 5 days and 4 nights on an all-expenses-paid escape. There, attendees enjoyed the sunshine, sparkling sand, azure seas, and the companionship of other hard-working Azione members.